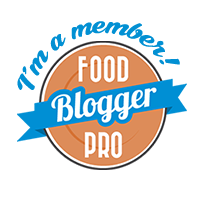 If you do a search for reviews on Burgess Seed and Plant Company, chances are that most of them you find will be negative. There are some people who have good experiences with them and many who don’t. Personally, I have very mixed feelings about Burgess. I took a chance on ordering from this company because their prices were attractive and they were located about an hour south of me in Bloomington, IL. Most people were complaining about the condition the plants arrived in. I figured the problem must be with shipping, but I was close by so it should be ok. And they are affiliated with a very reputable nursery in Bloomington. How bad could it be? Every year, we spend some of our tax return on house/homesteading-type items. We bought an old farmhouse on five acres a few years ago, so we try to put a portion towards the house and a bit towards projects we’re working on like the garden, orchards, chickens, bees, etc. We are trying to establish plenty of good systems early so we can benefit from them as soon as possible. So I took a part of my tax return to order nursery plants from a couple of places, the bulk of the order being from Burgess because of their prices. I knew they were a bare root nursery and have worked with bare root nurseries in the past with no problem. I expect the ugly little sticks to look nothing like they will once they are in the ground with a little nurturing and plenty of water and sunshine. When the Burgess items arrived, they were lumped together in a couple of sacks that were dumped on my doorstep. The “sticks”, which were supposed to be trees, were puny and entangled with one another. Some live items were sealed in bags and molding. Undeterred, I put everything in the ground as soon as possible, watered them and waited for the magic to begin! Over 50% were dead on arrival and another 25% sprouted and then died. The remaining 25% did well and actually thrived the first year, but half of those are dead this year. That’s a huge failure rate. I’m not a novice gardener either. Almost every live item died. The items that did make it were hardy and borderline invasive such as Rugosa Roses, Jerusalem Artichokes and strawberries. The rhubarb and asparagus are doing great. But none of the fruit and nut trees made it. The lavender died, as well as many others. Just one of the four shipping labels I sent in for replacements! I looked up their replacement policy, which states that anything that dies can be replaced if I send in my original shipping labels, which I had kept just in case. I gave the plants all year to grow, but when the sticks started disintigrating, I knew they were dead. I called to verify my understanding of the policy, then sent away for replacements at the beginning of March, offering to pick them up in person to avoid any damage through shipping. I gave them all my contact information and told them to please call or email me if this was possible. So I sent an email, and never heard back. We were now into April and I had a feeling they weren’t going to honor the policy, so I decided to chalk it up as my own “stupid tax” (to quote Dave Ramsey) and order the same plants elsewhere. I took a part of this year’s tax return and did just that. I hit some good sales through Gurney’s, which I’ve used before with good results, and Stark Brothers, who turned out to be absolutely outstanding. Then about a week later I got a call from Burgess. They were getting my replacement order ready (which was huge, so it took a while) and would be happy to arrange for me to pick them up. The people I talked to were very nice and apologetic, and sounded a little shell shocked from all the complaints they probably deal with. I know that at times I had tried to call their support line but couldn’t get through. All I got was a busy signal. Anyhow, I was surprised and delighted that I was going to get my plants, and a little worried about where and when I was going to plant them because now I had twice as many plants coming as I’d originally planned for. But hey, I’ve got 5 acres, I’d put them somewhere. One of many greenhouses at Owens Nursery. I really wish the mail order plants looked as good as the nursery ones! I drove down and picked them up a couple of weeks later. 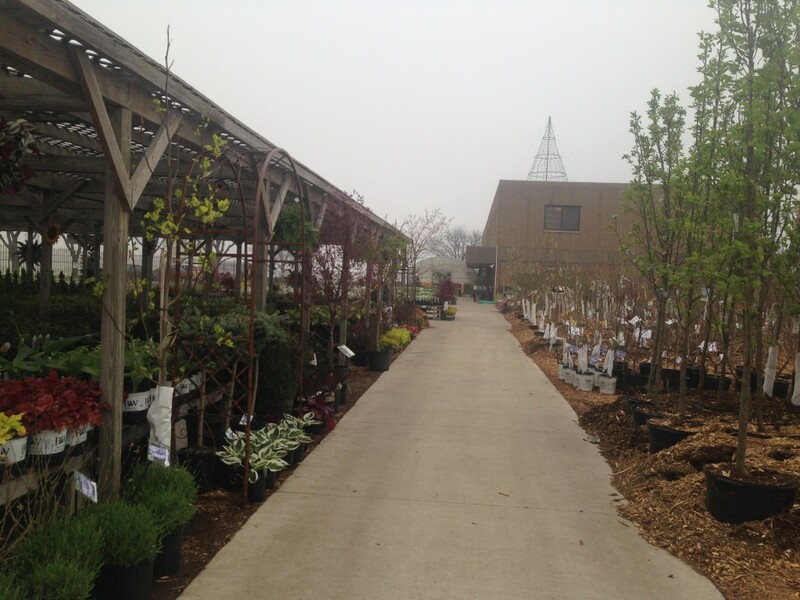 I had a chance to tour their retail location, which is known as Owens Nursery in Bloomington. It was gorgeous and everything I saw was absolutely high quality. The people were friendly and helpful. They told me they house about fourteen online nurseries and bring things in from other places, but this was their main location. I know from others that Owens Nursery is very reputable. So why was the online stuff so bad? As I glanced at my replacements, they looked good, at least what I could see of them. The live plants looked amazing, and I happily took them and thought I’d give the whole thing another try. I’d be planting forever, but at least it wasn’t money wasted. I drove everything back home, and set the live plants aside to go into the ground as soon as possible. It was when I started looking at the dormant plants that the light went off. The exact same entangled bundles of sticks, molding plants in plastic baggies, etc. I hadn’t noticed this when I picked them up, since they were packed in several solid green bags along with a big box of live plants that looked good. 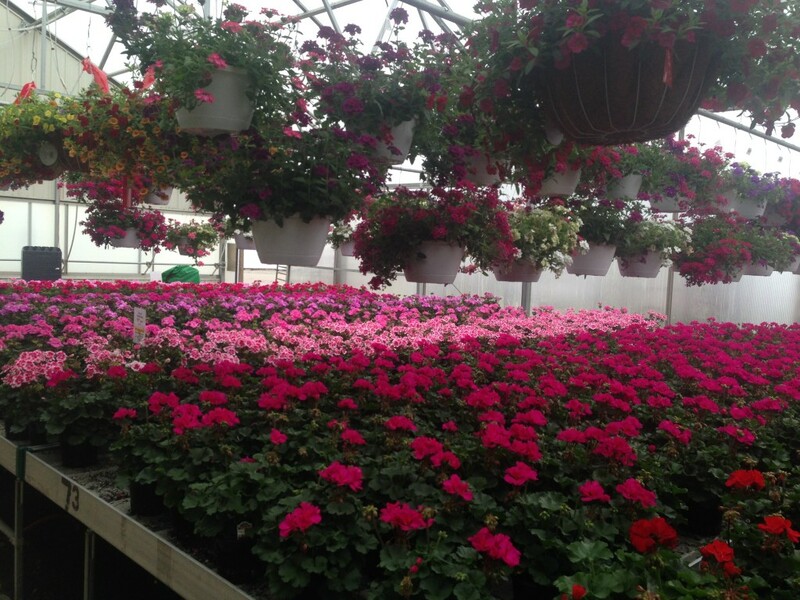 I assumed they were all good and was distracted by the friendly people and beautiful nursery. I watered the live plants and got them ready to go in the ground, took all the molding plants out of their bags and stuck them in the ground, and set the sticks aside since the weather really wasn’t that good yet and they were still dormant. Over the next week or so the items I’d ordered from other places came in and the difference was so remarkable. You really do get what you pay for. I just wish I had taken photos of everything before I planted them! Instead of a foot long dead stick for a hazel nut tree, Stark Brothers sent me a 4 foot high hazelnut with ginormous roots, professionally pruned, with buds on it. And they Fedexed it to me for free. All of the nuts trees I ordered from them were ten times bigger and better than Burgess (and even some of the nut trees I’ve received from Gurney in the past). And here’s the kicker: they weren’t that much more expensive! As everything arrived, I compared the quality and size again and again. Gurney and Stark Brothers were SO much better. As good weather finally showed up, I had to triage which plants to put in the ground first with all the planting opportunities I had. The best looking, alive things went in first. Everything from Stark Brothers started sprouting within a week with Gurney’s items close behind. And the Burgess items? The jury is still out. I’m still planting them, but most still look dead. I’ve already lost half of the gooseberries and roses, and the lavender doesn’t look good. I’ve watered the sticks and planted them in pots which I’ve kept damp, hoping they will sprout. I will try and see what we get, but it may not be much! Update: I’ve spent the past month planting everything, taking every opportunity I could get when the weather cleared. Almost everything is in the ground now. The lavender is doing well. 75% of the goosberries are already dead. Only a few nut trees show any indication they are alive. I also received the last replacement items and was actually surprised to find three huge, healthy butternut trees, which I immediately planted. I’m hoping those will do well. The pawpaws that came in the same shipment were packed in baggies and appeared to be rotting. I planted them anyway, right next to the ones I got from Stark Brothers which already have leaves on them. I’m hoping I’m somehow wrong about these replacements, but I’m probably right. Sigh. Overall, I don’t think I’ll ever order from Burgess again. The staff was pleasant enough to deal with, but the actual product was pretty awful for the most part. Some things were good, but so inconsistent. Trying to plan a garden around that level of quality is difficult. Such a high failure rate cost me too much in lost time and energy. Next year I’ll spend more, get less, but hopefully have a much higher rate of success. Not all bargains are bargains. That’s sometimes a tough lesson to learn, even for a Frugal Mom! Further Information: Burgess is one of at least 14 child companies that are owned by Plantron, Inc. You can search the Better Business Bureau in your area for these names. The chances are that you’ll find multiple complaints against these companies- some resolved, some unresolved. 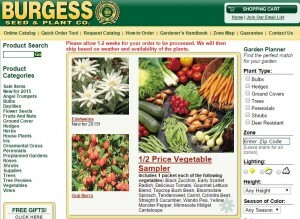 Dave’s Garden also has comprehensive reviews on a large range of online nurseries and other gardening-related companies.